Looking for a Ft Lauderdale pest control company to handle various pests like inspection of whiteflies, ants and roaches? Our Ft Lauderdale pest inspection services include pest control in Fort Lauderdale and termite inspection in Ft Lauderdale. If you need pest removal or pest extermination in Fort Lauderdale look no further than this website. We offer our pest control services in Ft Lauderdale, Boca Raton and a variety of surrounding areas like Lighthouse Point and Oakland Park. 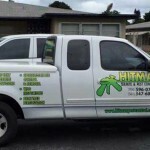 If you need a Fort Lauderdale pest inspection call the Hitman, John Lotz at Hitman Termite & Pest Control. 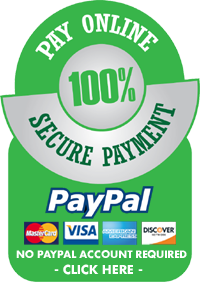 Not only are we the best in the business at what we do controlling pests and termites in South Florida, but we are affordable and easy to work with. We provide Ft Lauderdale residential pest control as well as Ft Lauderdale commercial pest inspections for area businesses that are troubled by any one of numerous pests that could be plaguing your Fort Lauderdale home or business. Click the slide above for a chance to save from 10% to 20% on pest and rodent removal in Fort Lauderdale. Hire the Hitman and get results! Termites will be exposed and treated and sent packing before you know it. Hitman Pest Contol is your number one source for Ft Lauderdale termite inspection, termite control in Fort Lauderdale and removal of termites from Fort Lauderdale homes and wherever termites might be causing damage in the Fort Lauderdale area. The WDO inspection is an important part of buying or selling a home and getting help with a termite problem is paramount. 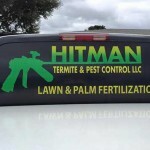 Let the Hitman take care of your termite problems. Professional termite control in Fort Lauderdale by experienced professional termite inspectors. We offer termite inspection in Fort Lauderdale and surrounding areas, Call Hitman today for information about termites, termite treatment of your Fort Lauderdale home, and long term recommendations for keeping termites from returning. 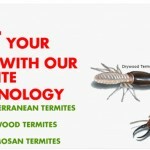 Termites can be a major problem and control of termites, removal of termites, and inspection for termites are all services that require skill and knowledge of what to look for and how to recognize the damage from wood boring insects. That's right at Hitman we remove rodents too. Various sorts of varmints from rats and mice to to other rodents that are natural to the Ft Lauderdale area but can spread disease, get the Hitman Rodent Control program in place today! Dont let rodents get you down, fight back hire the Hitman! From rats to groundhogs, and various types of critters, Hitman is experience with all types of rodent removal in Fort Lauderdale. When you have removed rodents as long as we have you have seen it all. Hitman provides help with services most people cant control themselves like, bed bug removal in Fort Lauderdale, bee control, roach inspection in Fort Lauderdale, white fly treatment, termite inspections Fort Lauderdale, rodent removal or wildlife control, Hitman can solve these types of problems with ease. Just make the call that solves it all and Hire the Hitman! 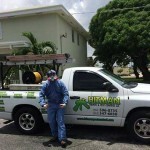 Call (954) 596-0735 or (561) 347-6030 for Hitman Termite & Pest Control. Your first choice for pest control in Ft Lauderdale and surrounding areas of South Florida.